The Beatles were an English rock band formed in Liverpool in 1960. The members consisted of John Lennon, Paul McCartney, George Harrison and Ringo Starr. They were soon known as the foremost and most influential act of rock era. 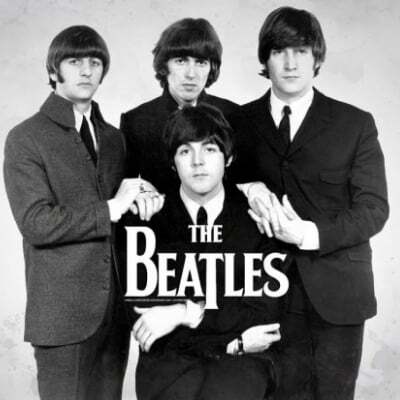 Rooted in skiffle, beat, and 1950s rock and roll, the Beatles later experimented with several genres, ranging from pop ballads and Indian music to psychedelia and hard rock, often incorporating classical elements in innovative ways. The Beatles produced what many consider their finest material, from 1965 onwards including the innovative and widely influential albums Rubber Soul (1965), Revolver (1966), Sgt. Pepper's Lonely Hearts Club Band (1967), The Beatles (commonly known as the White Album, 1968) and Abbey Road (1969). According to the RIAA, the Beatles are the best-selling music artists in the United States, with 178 million certified units. They have received ten Grammy Awards, an Academy Award for Best Original Song Score and fifteen Ivor Novello Awards. They were inducted into the Rock and Roll and Roll Hall of Fame in 1988. However, there were a few members that passed away. John Lennon died of assassination in 1980, and George Harrison died of cancer in 2001.